It is chacha versus bhatija (uncle versus nephew) in Haryana's Jatland politics. The battle between the two sons of ailing former chief minister Om Prakash Chautala does not appear like it may end in a reconciliation. 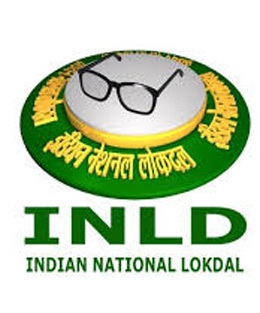 The split in the family as well as the Indian National Lok Dal (INLD) will happen on Sunday. Dushyant Singh Chautala, the MP from Hisar, till recently looked like he will lead the party, founded by his great grandfather Devi Lal. But informed sources in the INLD, whose president Om Prakash Chautala—grandfather of Dushyant—sacked Dushyant from the party a few days ago, said the MP will be floating a new party on December 9. The move was in response to what senior Chautala saw as Dushyant taking on his uncle, Abhay Chautala, leader of the opposition in the Haryana Vidhan Sabha. Om Prakash Chautala, a former chief minister, has thrown his weight behind his younger son Abhay, even as his elder son Ajay has been jailed along with him. The two were convicted in a scam involving recruitment of teachers in the state. Dushyant's mother Naina Chautala, an MLA from Dabwali, has been meeting his supporters as well as her own, and urging the women of the area to turn up at a rally in Jind, where the new party is going to be launched. She has also undertaken a tour of Bhiwani and Charkhi Dadri, believed to be places where her husband Ajay has done a lot of grassroots work, to muster support for her son. Though Naina has not been expelled from the INLD, she has made it clear which side of the battle lines she stands. Naina is also said to have told Dushyant not to apologise to his uncle Abhay for what they call anti-party activities. Abhay, according to reports, said he would forgive and forget if Dushyant tenders an unconditional apology and accepts him as the party leader. The turnout at Jind on Sunday will indicate the scale of support that Dushyant enjoys. And also the support for Abhay.